My youngest son’s 6th birthday is rapidly approaching. In the past he has asked for a Garbage Truck party, an Octonauts party, a Spiderman party and this year, he has requested a Paw Patrol party. I am so happy that he chose this theme since the show is adorable, teaches good lessons and has cute characters. 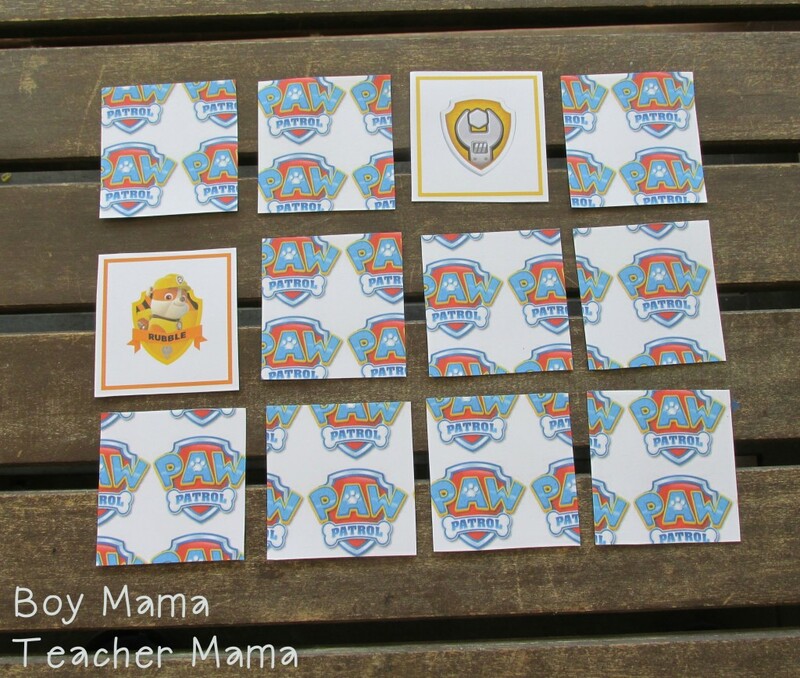 The first item I made for the goodies bags is a set of FREE Paw Patrol Printable Cards. These cards can be used to play Memory (Concentration). 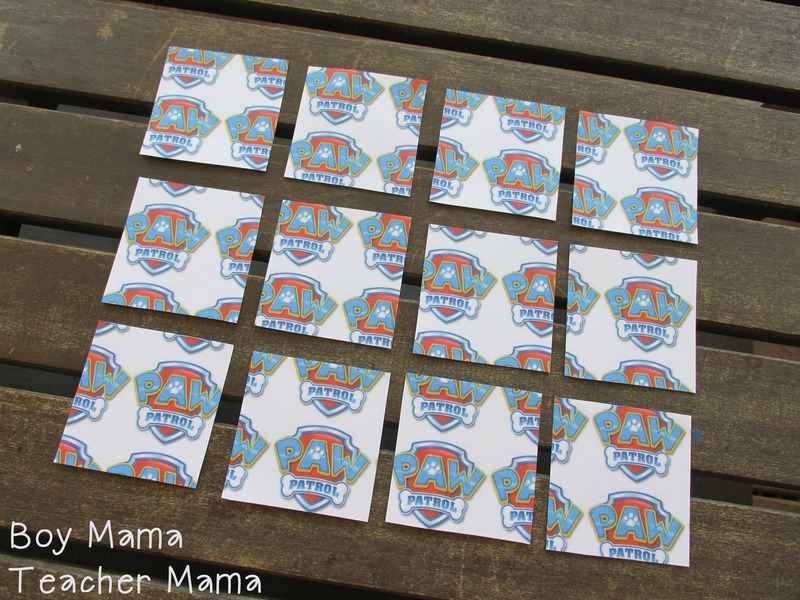 Print the templates back to back on card stock. You will need to create two sets for each goody bag. Cut cards apart along the black lines. Choose which two types of cards you would like to match (character to badge or character to same character). Lay all the cards face down. If matching character to badge, leave out the second set of cards. If matching characters, leave out the badge cards. Players choose two cards at a time trying to make a match. 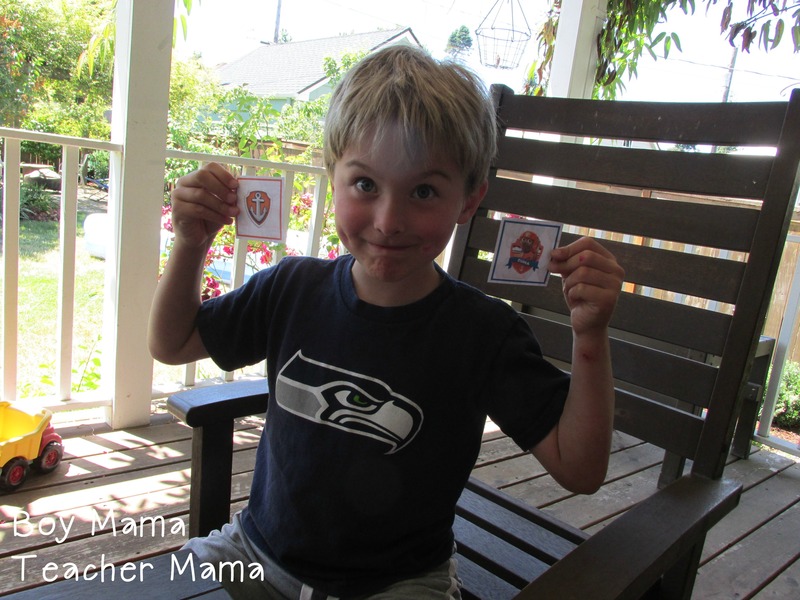 If a match is made, the player takes both cards and begins a pile. If player does not make a match, the next player takes his turn. Player with the most matches/pairs at the end of the game is the winner. 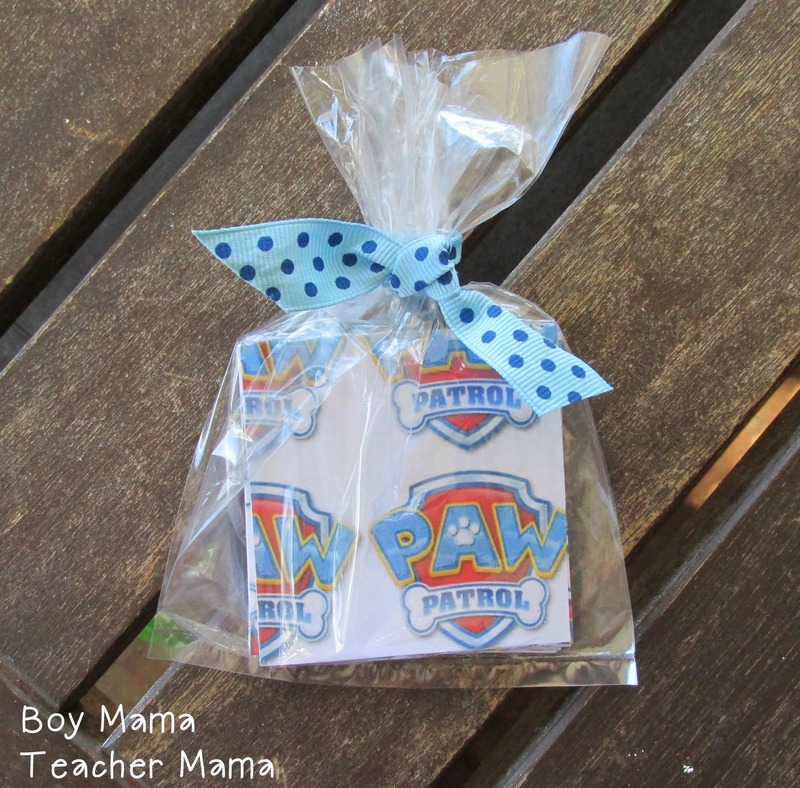 I wrapped each set of cards in a cellophane bag and tied it with a matching ribbon to add to the goody bags. 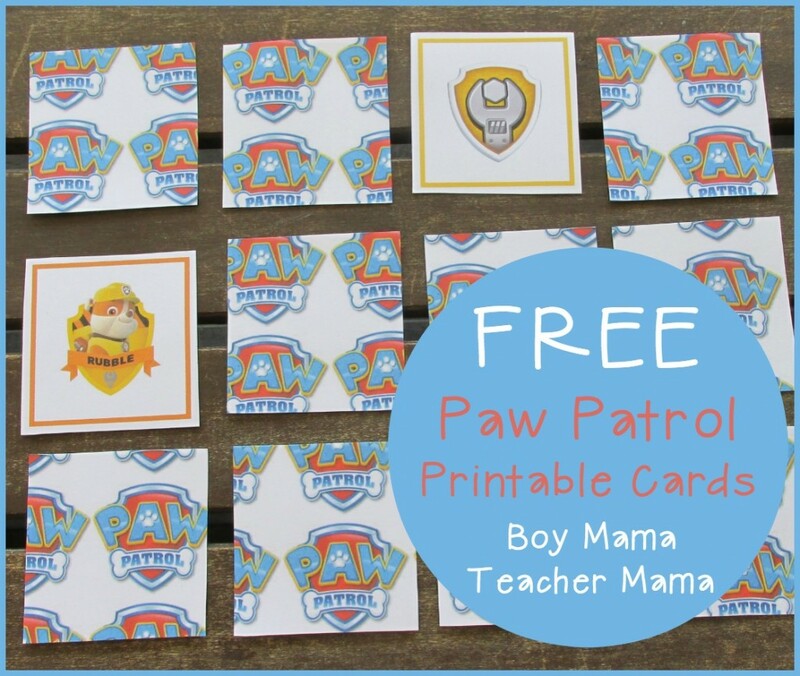 Click HERE to download the FREE Paw Patrol Printable Cards. Thank you so much My toddlers really enjoyed play this game and it also encouraged them to talk. We so grateful! My little girl will be so happy on her birthday party!!! Thank you very much! my son love it! I don’t have Everest. I am sorry!! Finding things with Everest and Tracker is becoming the hardest part of planning my daughters paw patrol party! I can imagine! I’ll have to work on adding some!